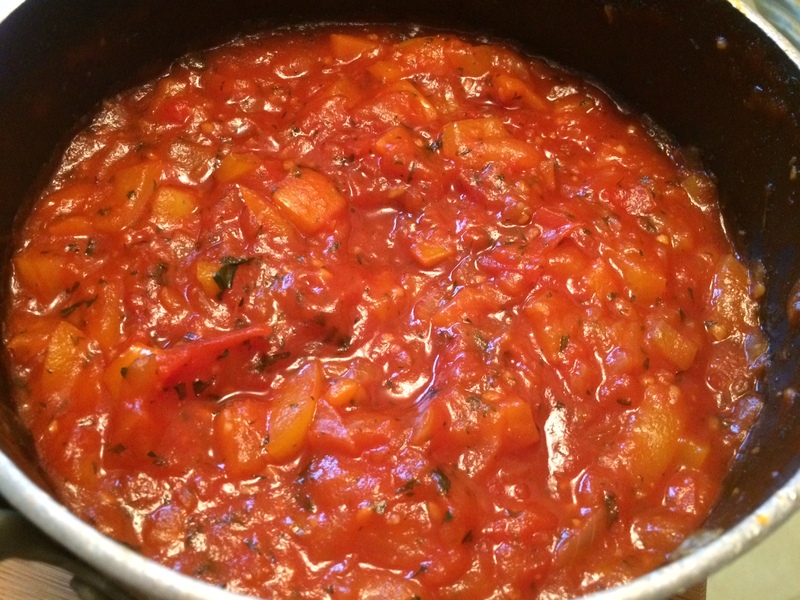 Warm Tomato Relish is absolutely delicious and compliments Meatloaf or Topped on Burgers. Give it a try ! Yes that is my picture that I took while I making the relish. Great Pic ! 1. Coat a skillet or small pot with a 2-count of oil and place over medium heat. Saute the onion, garlic, and bay leaves for a few minutes to achive the base. 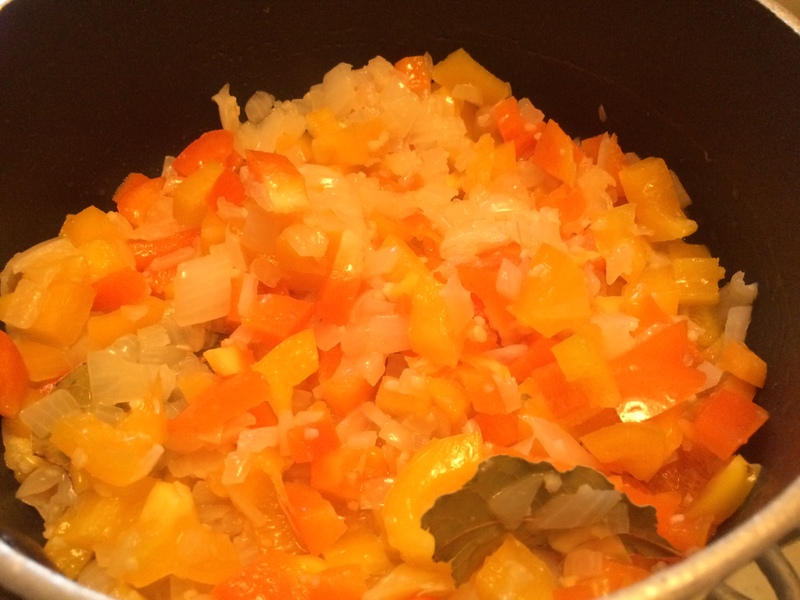 2.Toss in the bell peppers and cook them for a couple of minutes to soften. 3. Add the tomatoes; fold them in this point (softly Stir) this lets them hold their shape and prevents them from disintegrating. 4. Stir in the parsley, ketchup, and Worcestershire; 5. Simmer the relish for 5 minutes to pull all the flavors together. Remove it from the heat; you should have about 4 cups of relish. 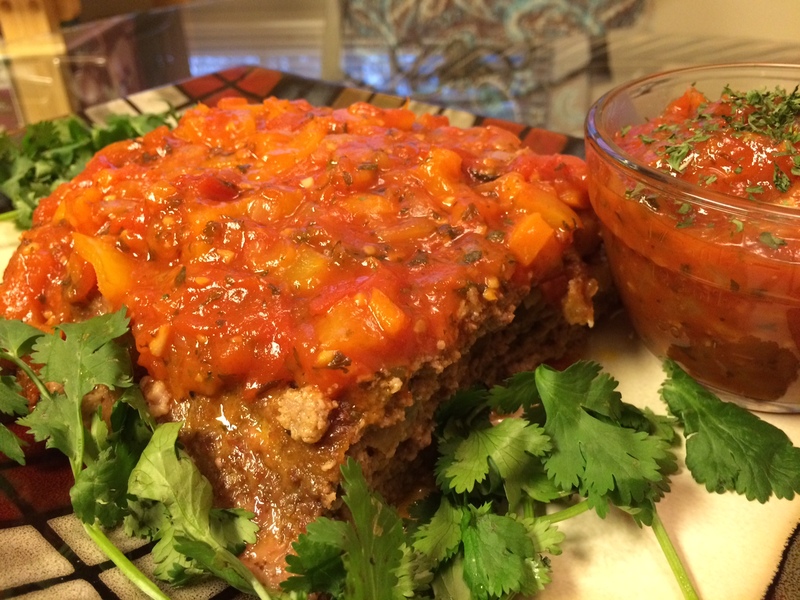 Serve relish on top of meatloaf, ontop burgers, or with a steak. It is an excellent compliment to beef.